I've been getting a lot more sewing time than I expected this summer but it tends to come in short intervals. Since it's easier to use these windows of time to move things along than to plan something new I decided that in August I'd focus on tackling my UFO pile. I made this top during my Plus Quilt obsession and quilted the center section while on retreat but then dropped it in the pile when I got back. The amazing Alexis shared her tip for using varying widths of painters tape for marking straight lines at our July Boston MQG meeting. The key is to use the edge of your presser foot against the tape rather than sewing along the tape. Quilting all those straight lines in the negative space can get tedious but it's perfect for dropping in and sewing a line or two when I've got 15 minutes to spare. 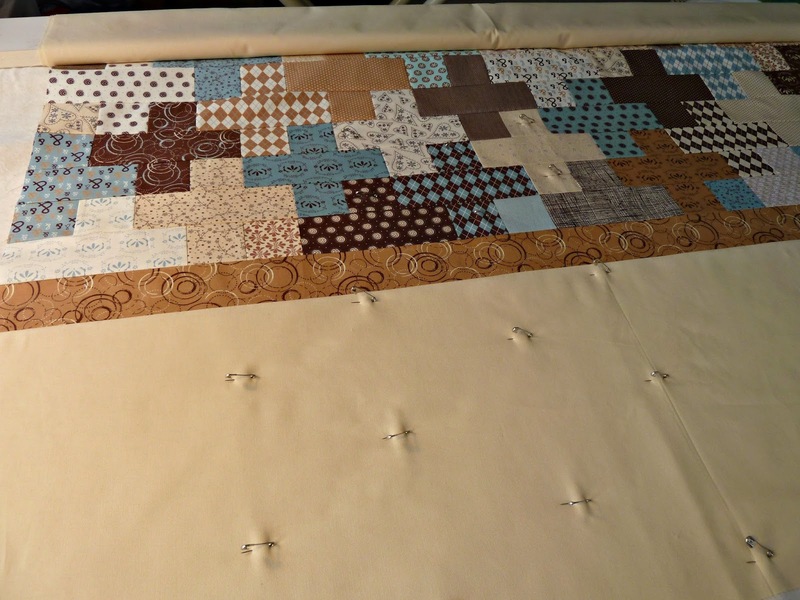 I'm taking Jackie Gehrig's Quilting with a Walking Foot on Craftsy and she uses the tape too. It's a good idea and it keeps your lines straight. I love the plus quilt by the way. I've made one but it was a gift and I've been wanting to make another for myself. I like using painter's tape too! I also use it to mark out quilting areas to keep track of where I've been. That's a fantastic idea! Maybe I'll try that on my little table runner. I use painters tape, too. Great minds, etc. My Wednesday Sew Day became caring for a sick dog and helping granddaughter with a flat tire. 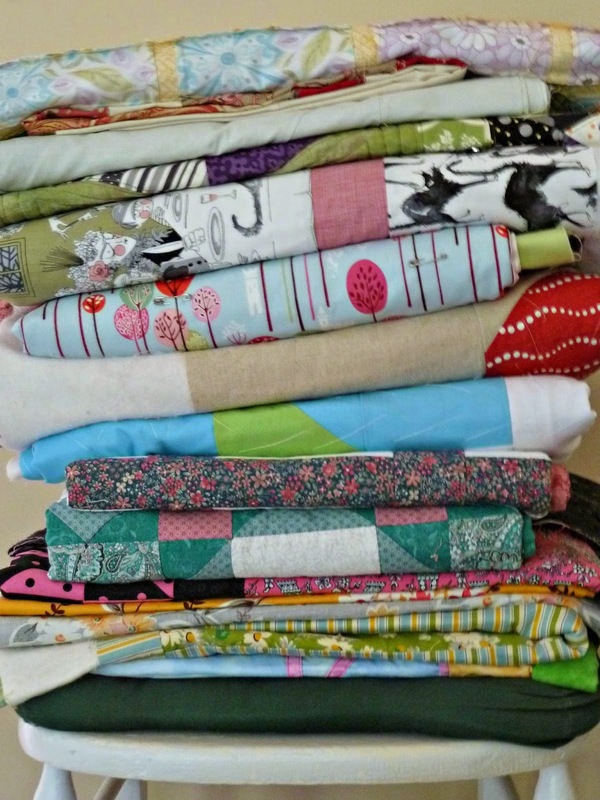 So, I am quilting by proxy with your blog. Thanks.